Designs for 8150 Sunset, which was originally designed to add 249-units of market rate housing, 37 units of affordable housing, and 65,000 square feet of retail space to the Sunset Strip, were originally approved by the Los Angeles City Planning Commission back in August. The project features a cluster of five buildings grouped around public open spaces with commercial areas along the ground floor and a 15-story tower marking the northwestern corner of the site. 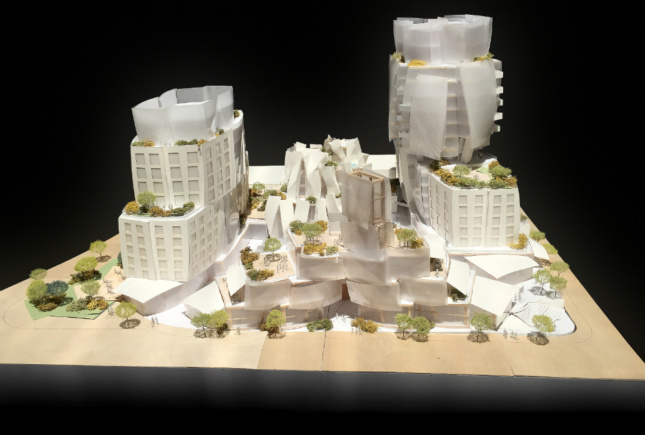 The L.A. City Council’s approval comes a week after the project cleared the city’s Planning and Land Use Management Committee in a five-hour long meeting that included community input, as well as an in-person testimonial by architect Frank Gehry in support of the project. 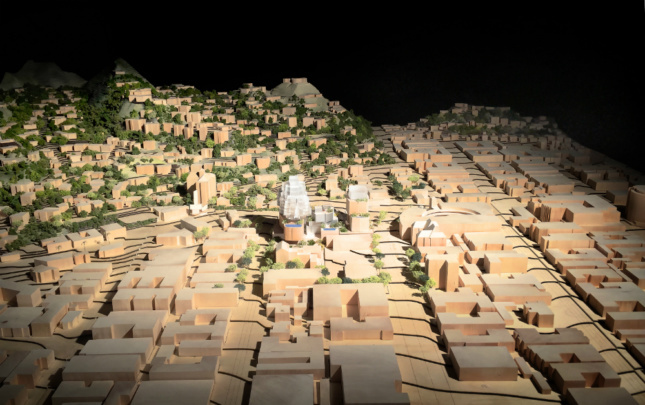 At that meeting, local Councilperson David Ryu dogged the project for its height, density, and paltry affordable housing component while also citing worries among community members that the project, as proposed, would badly increase traffic in the area. The meeting resulted in developers Townscape Partners agreeing to shorten the tower to 178-feet in height, increase the overall affordable housing allotment slightly, and provide an additional $2 million in funding for traffic mitigation measures. At the meeting, Ryu highlighted the project’s passage as the result of healthy compromise, stating, “8150 Sunset Blvd. is a much better project today” because of the agreed upon changes. Although developers Townscape Partners and the architect have wrestled with neighborhood and City Council opposition for months, the question of whether—and how—to save the historically significant Lytton Savings Bank building currently occupying the site is still an open question. Designed by Kurt Meyer in 1960, the late-modernist bank building is capped by a distinctive folded concrete roof plane and was recently approved as a city historic-cultural landmark in September. Back then, Adrian Scott-Fine, director of advocacy for the Los Angeles Conservancy, told The Architect’s Newspaper that the Gehry project—as presented—would “unnecessarily demolish a historic cultural monument,” adding “there’s a very clear way for this project to move forward and preserve this bank building.” Consideration of the historic building’s future will be taken up by the City Council in November, when it will be decided whether to save the building or not and if so, whether to incorporate the structure into Gehry’s scheme or simply relocate the relic to a different site.